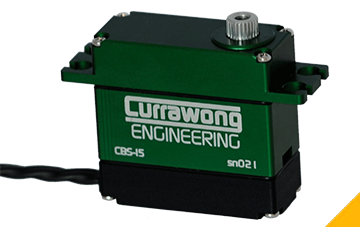 Currawong’s CBS-15 CAN servos provide many benefits over traditional servos widely used in many UAV applications. With integrated current, temperature and vibration sensing, the servos provide a level of diagnostic feedback and airframe health monitoring that is not possible using standard servos. Advanced features such as control surface linearisation, torque limiting and actuator redundancy are provided by the internal controller. 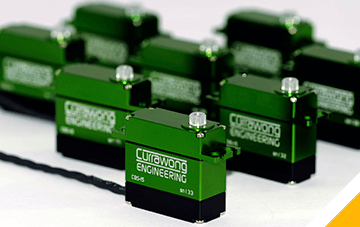 Leveraging the benefits of the CAN communications architecture, these servos do not require individual dedicated autopilot I/O lines, and all avionics devices on the CAN bus have access to servo feedback data. the ability to be controlled, configured and monitored using Currawong’s sophisticated data analysis software package, cEQUIP.